The Rio Tinto Staff Superannuation Fund is managed by a separate Trustee company (Rio Tinto Staff Fund Pty Ltd) with a Board of Directors. This board invests members’ money prudently while striving to maximise investment returns, maintain legislative and industry compliance, and provide ‘member-focussed’ services and assistance. Rio Tinto Staff Superannuation Fund has been a Diligent Boards™ client since October 2012. Mining giant Rio Tinto provides a superannuation fund for its staff. The fund has around 30,000 members and manages approximately US $5.5 billion worth of assets. With the Trustee Board running the company, the business is focussed on ensuring members’ money is invested appropriately and securely, and that members receive benefits in the right order and at the right time. The company has six employees, with 11 directors sitting on its Trustee Board. The Trustee Board meets in person four times per year, with subcommittee meetings taking place an additional 12 times per year. For each of Rio Tinto Staff Superannuation Fund’s board and subcommittee meetings, administrative staff were tasked with putting together board papers and sending them out as hard copies. These hard copies/materials had to be printed, collated and delivered to board members. This was a very labour intensive process, adding up to several weeks worth of work each quarter. Ultimately, it was consuming most of the time of two full-time staffers, costing the company hundreds of thousands of dollars in resourcing per year. Faced with a downturn in the mining industry, the company underwent a restructuring that resulted in losing administrative headcount. With each of the remaining employees already stretched to capacity, there was no scope to take on the comprehensive board paper preparation process. Fund Secretary Brett Grant knew there had to be a solution, seeking to automate the lengthy process so he could ensure staff were working on value-added activities. Diligent Boards is the world’s leading board collaboration software solution. 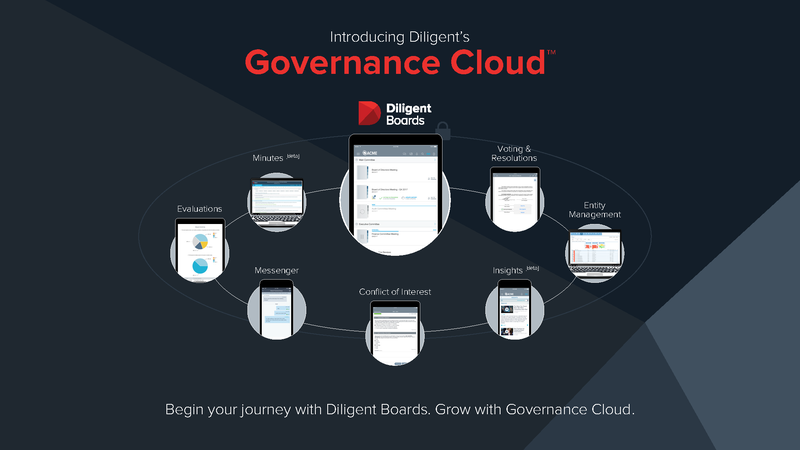 Designed for board members to access and review board materials in real time from anywhere in the world, Diligent Boards is available across all devices and backed by 24/7/365 support. Rio Tinto’s board was an existing Diligent Boards user and praised the solution for allowing it to operate efficiently. Grant decided to “piggyback” off the larger entity’s success and implement Diligent Boards within the super fund. Grant faced some concerns from board members who were not “tech savvy” about moving from the traditional approach to a digital, paperless process. The super fund also needed to ensure the solution would work with a geographically dispersed board while keeping its data secure. “The team at Diligent have made it really easy to get on board with using the solution. It was very well serviced and the after-service support has been fantastic. As a result, we’ve had great uptake from staff,” Grant said. Today, Diligent Boards is the foundation of communication for Rio Tinto Staff Superannuation Fund. Moving to a paperless system has enabled the super fund to assemble board materials in minutes, not weeks. Thanks to Diligent Boards, the company has saved the salary of one full-time person, alongside additional savings in paper, couriers, folders and other materials. “As well as the cost savings, it has saved our employees from doing work that didn’t add value, and that no one enjoyed. The team spent hours bending folders, punching holes in the papers, binding and mailing out – none of which was very exciting work. Now, everyone feels as though the work they are doing is important,” Grant said.